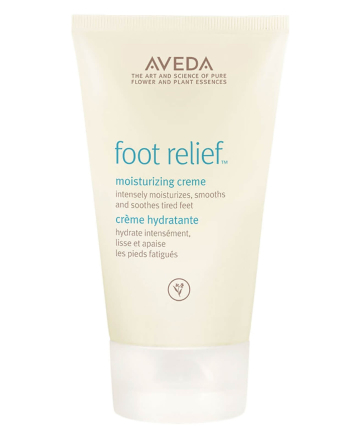 Aveda Foot Relief Moisturizing Creme, $24 This is one of our personal gold standards when it comes to must-have foot relief. Exfoliating fruit acids help soften rough skin while peppermint oil and tea tree oil cool and invigorate. Feet are softer, skin is smoother, muscles are less painful and everything is better.